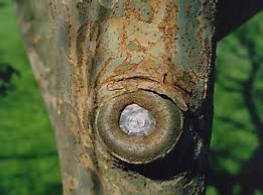 Bio-Tricho Pruning is targeted at preventing wood rotting disease and assisting plants sealing their wounds. Best applied within the day of pruning or harvesting flowers, the day after heavy winds or hail caused damage. Tip: As the pruning day nears its end, knapsack spray the days work. Adding cake colorant assist in assuring that all wounds are treated. Technical detail same as Bio-Tricho, as Bio-Tricho Pruning contains same strains, but the wood rotting control emphasized.